The store will carry a variety of merchandise selected by Lambert including handmade boots and belts from Corral, Farm Boy & Farm Girl with their fashionable line of clothing and home goods, items from Junk Gypsy including clothing, jewelry and other accessories plus much more. “It’s antiques, gifts, boots, jeans and pretty much everything you can imagine,” said Lambert. 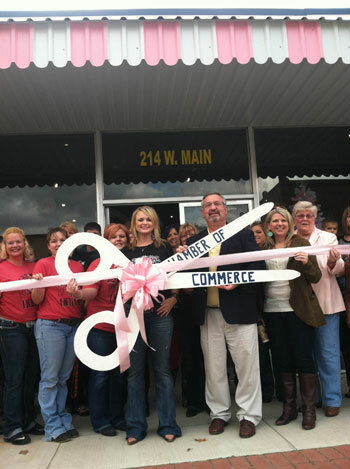 In addition to the grand opening, other activities planned for the day include a Pink-aoke area for everyone to sing their favorite song, marching bands and, the 1st Annual Pink Pistol Princess Pageant. The contestants, who have already been selected, will be judged on the creativity of their pink costumes, their spunkiness and their sass.